GWLAB offers Jewelry reports for mounted jewelry and ornaments. The identification tests, based on the chemical and physical properties of the mineral and the mounting metal, are performed by GWLAB experienced gemologists. The process includes the use of traditional and highly advanced gemological instruments, supported by magnified observation. 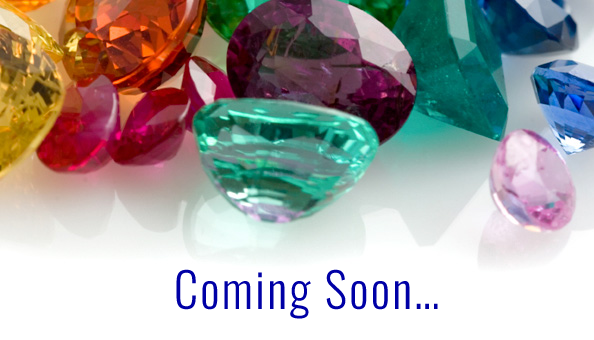 The results include the metal properties, main and secondary gem types (variety and species/series), descriptive properties of each gem (color, shape and cutting style, measurements and carat weight), color and clarity grades, digital image(s) of the item, digital Gemewizard reference color(s) of the gem(s) and commercial name (if applicable). 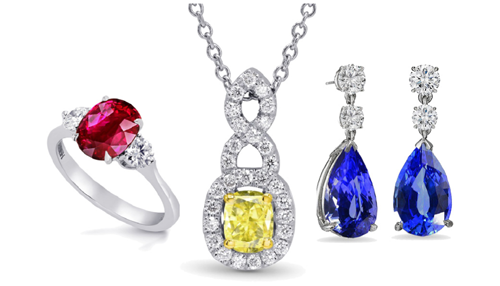 The color, clarity and weight results are given as approximated/estimated values, if the measurements are performed on a mounted gem; or as actual values, if the gem is tested before mounting. 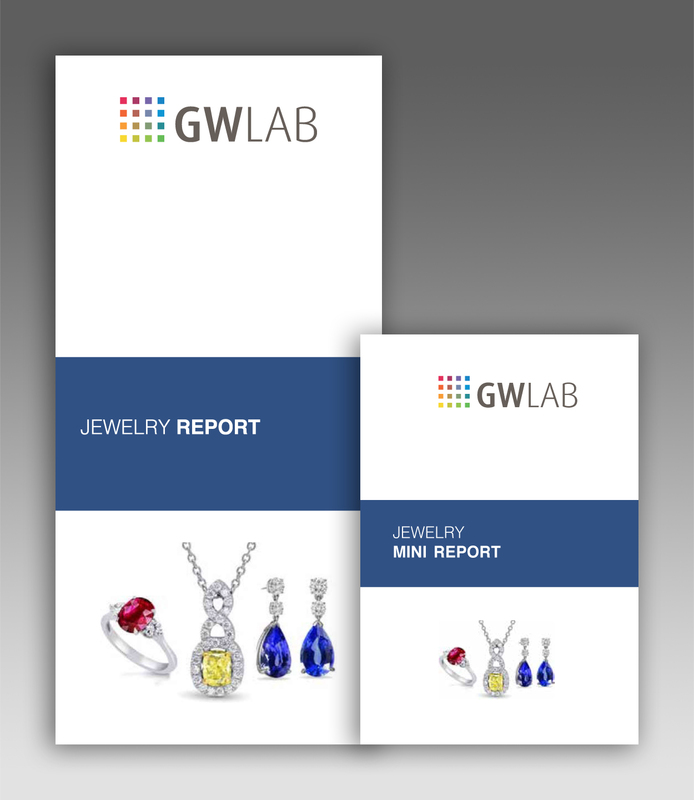 To learn more about ordering GWLAB Jewelry Reports, please contact us. Already have a GWLAB report? To verify it, click here.